At the Talbot Hotel Carlow Ireland, with its luxury four star accommodation, conference, wedding, leisure facilities this hotel boasts a warm welcoming atmosphere to all our guests. All 84 guest rooms along with two spectacular suites and well appointed interconnecting family rooms are designed, furnished and decorated with the ultimate of guests comfort and convenience in mind. Situated on the Portlaoise Road and just off the N80 from Dublin Once in Carlow take the N80 turnoff at the Dr. Cullen roundabout near the Braun Factory, continue to the Athy roundabout & take second exit. Follow through the next roundabout & on the second roundabout take the first exit & the Talbot Hotel Carlow is on your right. 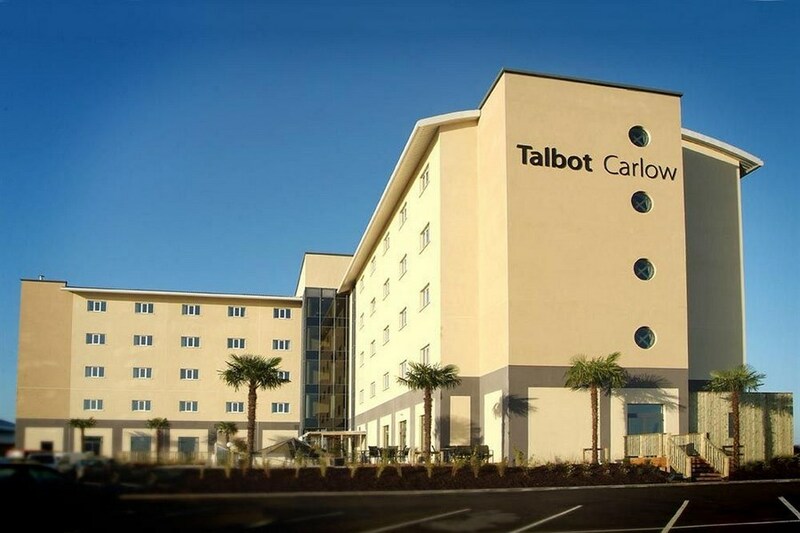 The Talbot Hotel Carlow is the ideal location to base your self for exploring the Sunny South East with a wide variety of local heritage and sightseeing attractions within in your reach. There also is an array of outdoor activities that you can pusue locally, such as, golf, fishing, horse riding and walking trails. Nice hotel staff were very friendly and food was good a little bit outside of carlow Town about a 20mins walk or 8 euro in a taxi. As a couple going down I found it a little bit out but if you have small kids it seems to be good. Really nice hotel, very friendly and helpful staff, good food in the bar, comfortable clean rooms, great views from the room also. Would stay here again. Warm welcome, best evening kids club in Ireland I have seen to date ( a tip maybe just watch 2 x 30 minute programmes or something that lasts only 60 minutes for the cinema aspect of the Kids Club from 8-9pm as the time frame does not allow for a full movie? ), Excellent quality food, drinks and service, Good hot food at breakfast, recently upgraded and clean room, high quality leisure centre, nice bar, very family friendly, room bright for a hotel and not uncomfortably hot either, comfortable bed, good facilities nearby, attentive staff, no problem when we were delayed checking out also. fab hotel . A big thankyou to all the staff from reception to bar staff who were very helpful and friendly. breakfast was fab. will stay here again . We stayed on Friday night after our visit to rathwood. Hotel lovely and staff so so nice and helpful. Would highly recommend. Excellent customer service from the moment we arrived. Hotel has lovely decor and the Dome next door is great for kids. You can get a free game of bowling if you spend €50 in the bar - we didn't spend quite as much as €50 but they gave us the voucher anyway which was really nice of them and there is a kids club and a kids movie in the evenings. The Dinner which was included in our package was really tasty the staff in the restaurant were so attentive despite it being really busy with lots of children about. The restaurant staff are a credit to the hotel it really was such an enjoyable meal. Breakfast is the ususal buffet style breakfast - there are lovely views out of the top floor. The room is spacious enough for a family of four. The Pool is great and has a jacuzzi and sauna too All in all we enjoyed our stay here and would recommend for families. Rathwood is a 20 min drive away which I would also recommend for families. lovely hotel room .food very good.would love to go back. Myself and my partner stayed in this hotel for a weekend,the staff were courteous and polite. I found the bedroom comfortable, there were stains in carpet which I mentioned to cleaning staff also noise from a wedding could be heard from our room, we were on forth floor,we had asked about a room that was quiet before checking in. The food was of good quality but would have liked a change of choice in the set menu for second night. Overall it was value for money, slight tweeks would be beneficial to the quality of hotel. Beautiful hotel and outside areas. Panoramic views from every window beautiful. What let the hotel down for me was the crowd was extremely rough. Bit scarey at times. Plus I booked 2 adults 2 children. My room had 1 double and 1 single! We were told all the rooms were the same! So how can u let people book in 2 children when they are not giving u anywhere for them to sleep? Very annoying indeed. Staff were very friendly though. Myself and my wife stayed here for 2 nights and found the hotel very nice and the staff very friendly. Food can be better, but the staff were only to happy to try and fix this for us, I would stay here again, Rooms very big and very clean. Had a lovely stay in the hotel.. staff were fantastic, great place for family break. Really enjoyed my few days and will definatley be back. Hotel facilities were to small for the amount of guest. No seats at breakfast no seats in the bar on all days/ night. We actually missed are evening free meal just to keep are seats in the bar! Staff at breakfast could not cope with the amount of guest also we were a party of 4 adults and 5 kids and could not sit together for breakfast also an hour waiting on tea/coffee (should have a self service for this at breakfast) hotel needs updating ie toilet seats in room and leisure area. Staff are very friendly. Staff make this hotel good. Had a lovely stay in this hotel. The staff were so friendly and helpful. Room was so clean and bed was very comfortable. Food in bar was lovely good choice on the menu meets every type of person. Would stay again. Reception staff are fantastic, rooms were clean, bar food was lovely .. we enjoyed our stay. We booked a weekend away with our neighbors to celebrate a special birthday. We mentioned the occasion to the hotel staff and they couldn't do enough for us. The rooms were excellent and the food was first class all the time. A warm atmosphere in a well run establishment. Music in the bar both nights was great adding to our enjoyment of the bar. We'll be back! A nice clean hotel with very friendly and efficient staff in general. Not a 4 star hotel though, possibly 3 star. The kitchen is bordering on an old fashioned 2 star and very dated in menu. There is no breakfast menu, if you don't see it you don't get it. In a lovely location and about 2 km from the town. Really enjoyed our stay here.. We were part of a group (9 adults and 3 children). The hotel went out of their way to make us all feel welcome. A big thank you to Amanda at reception for all her assistance. We had a lovely meal in the restaurant.. the service was a little slow but we didn't complain and enjoyed it. Food was top class and the choice was good. There was music in the bar on the Friday night and that was good fun and an unexpected bonus. Hotel rooms were lovely, spacious and modern, staff were so helpful that even the restaurant manager offered to assist me with my luggage. Thanks to all in the Talbot Carlow for a wonderful stay... we will definitely be back!! Great holiday for families and great and well mannered staff. We spent one night in this hotel,had dinner and breakfast. The staff are so friendly and helpful. We will be back for a longer stay. Rosemary Dundalk We had a lovely stay in the Talbot Hotel June 15th-18th, All the staff were very helpful and pleasent The food was great Breakfast and evening meal, also we had a lovely room, the pool and gym were great, I would recommend the Talbot hotel for a break, It was my first time in Carlow it is a lovely town . Very impressed my second time to stay in this hotel. The food was amazing. Staff very friendly and helpful. Will be back again soon. Just back from the Talbot Hotel in Carlow with my husband and eight year old daughter. We had a fantastic stay. The Staff were all excellent and most helpful. Our room was lovely on the 2nd floor. The restaurant is on the 4th floor with fabulous views out over the surrounding farmland. The food was delicious and of a very high standard, and plenty of choice both at breakfast and dinner. 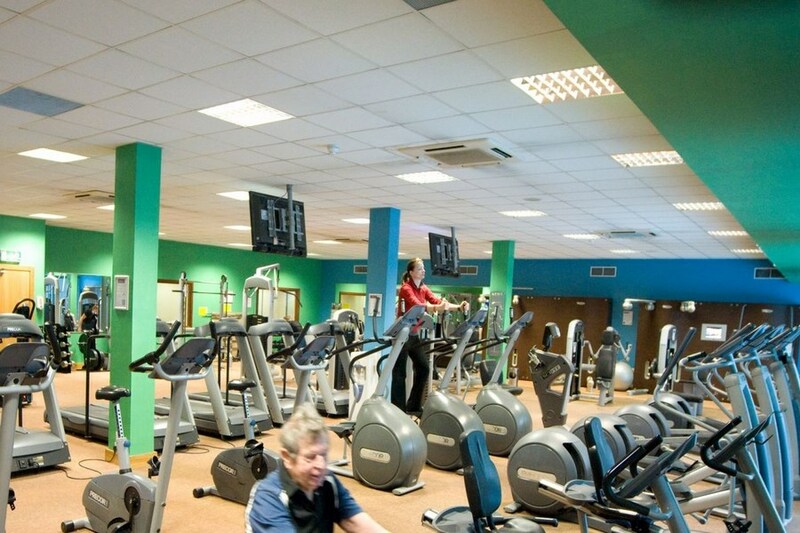 Finally the leisure facilities were also excellent. We would have no hesitation in recommending this hotel for a break away and we will without doubt return. Enjoyed our stay good food , friendly staff & kids enjoyed the kids club. They were disappointed to discover the Dome next door was closed down such a pity was a great place so close to the hotel hope it opens soon . Everything was brilliant - except the constant and outrageously noisy drilling on the last day!! very, very painful! Staff couldn't do enough for us. Great food. I know maintenance is necessary, but pity about drilling at front door from far too early in the morning. Hopefully next time we go this will be completed. Receptionist was friendly and welcoming as were any of the staff that we interacted with. room was big and clean but a tad dated. there was only one towel in the room but i am sure this was just an error and would have been rectified had I brought it to the attention of the staff. Little touch ups in worn areas would go along way, ie touch of paint or some suitable product on the bed base as my eye was drawn to it. overall this is a good hotel, dinner and breakfast were good also. A great hotel and very friendly, accommodating staff, but they were quite understaffed owing to the hotel being full. This did lead to a little service delay at times, but the staff's candidness was appreciated . They worked hard. The pool and gym area was great. The hotel is not a walkable distance from the town centre, however. A great hotel and great value for money. Great one night break away. Fine sized room with double and single bed. Breakfast was lovely, with plenty of options from cereals to breads to hot food. Pool and gym good too. We had dinner at the hotel although we were only b&b and thought it was great value for four courses €50 for two. Again lovely choices and delicious. All in all a lovely break. We had a great stay in the Talbot Carlow, rooms were spacious and clean, staff were good, food and drink excellent. My only negative is we only had 1 towel in a Triple room and it took one phone call and a visit down to reception to get a couple more. Myself and my extended family stayed in this hotel for an overnight break. The staff were very pleasant and helpful at all times. The restaurant served excellent food and again the service was excellent. Would definitely go back. We stayed over for 1 night at the Talbot hotel, booked a family room. The purpose of our stay was a 40th.."Happy Birthday Mary". We had a great time, food at dinner and breakfast was very nice. The staff where lovely the only thing I would say is that the lobbies could be freshened up, carpet and walls freshened up. Not dirty though! We also had some noisy Saturday nighter's and when we rang reception they addressed the issue immediately! I would stay again and I would recommend this hotel to friends. Thank you for a lovely stay! Couldn't fault this hotel at all , staff very friendly , rooms lovely , great pool and the food is amazing. We've stayed here before , so we knew what to expect . We would definitely return again , our children even love this place .. I stayed in the Talbot last Saturday. Lovely hotel,very clean.Room was big and again was spotless. Dinner/breakfast were great-better than I expected. All staff were excellent ,chatty and very polite.I have no complaints.Would stay here again without a doubt. We really liked the Talbot in Carlow. Very large rooms, lovely food, friendly staff, nice views from dining room on 4th floor, excellent leisure facilities, clean and modern hotel, fabulous value. Will be back again! We really enjoyed our stay; the room was modern, clean, large and very spacious. The food was excellent but there was a but! The restaurant was extremely busy on the particular night we stayed as the hotel was offering fantastic overnight offers for the month of January. However, we did not mind, we waited for the hour in the bar until the manager came to the bar to let us know our table was now ready & we were offered 2 free drinks to compensate for the wait. Breakfast was lovely & the leisure facilities were great. It was great value. Most importantly of all, the staff could not have been friendlier, the customer service is of an outstanding standard. I would recommend the Talbot hotel to anyone. Lovely stay at this hotel, hazel at reception was very welcoming and helpful, the rooms were very clean and spacious, the dinner and breakfast were delicious and plentiful, and again the service in food and beverage was very commendable, bar staff and entertainment were also on a par, swimming and sauna and Jacuzzi rounded off a very enjoyable stay at this hotel. The only negative would be that another television would benefit the bar area for the luxury of having a choice of what to watch when two sporting events are on at similar times, it keeps everyone happy!